The CSA is now full and closed for the 2019 season. We are, however, taking names on a waiting list in case there are any changes, and also we will notify you when CSA registration opens next season. If you would like to be on the waiting list please email cwood@hartmancompanies.com. Thank you. 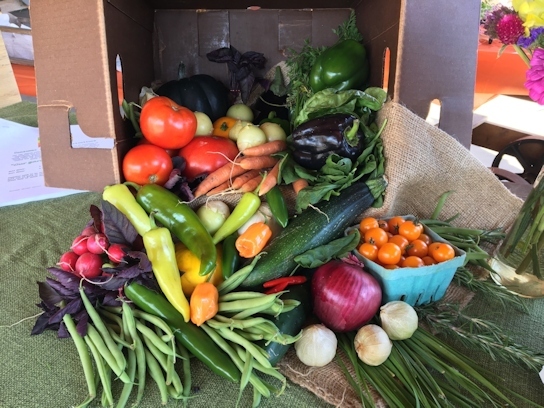 Our CSA (Consumer Supported Agriculture) shares offer a wide assortment of over 50 varieties of vegetables and herbs including Heirloom varieties all grown using organic practices. The CSA season runs 18 weeks, starting early-June and finishing mid-October, where members receive a weekly box of produce. Plus, a free you-pick flower bouquet every week when you pick up your box! Payments need to be either in full at time of registration, or half can be paid at time of registration, along with a post-dated July 15 check for your 2nd half payment. You can also come out and use our pick-your-own service to enjoy the best in freshness and quality produce. 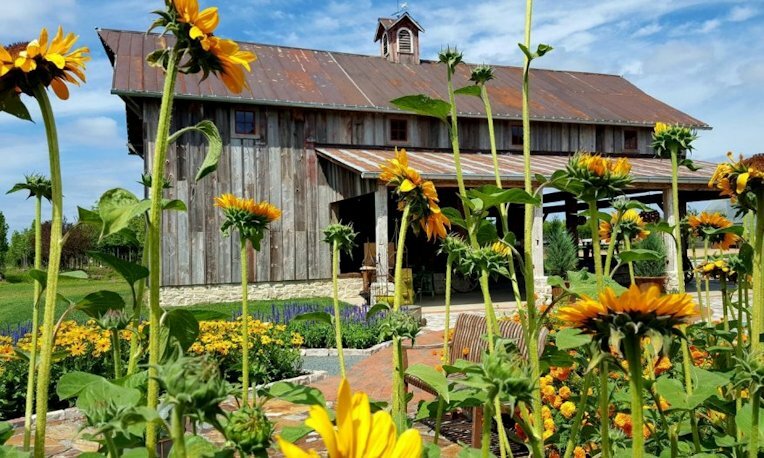 Pick-your-own flowers and herbs are available from late spring through the fall. Come join us in the garden!